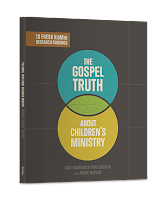 About the Children's Department: The Gospel Truth About Children’s Ministry - I'm Giving Two Away! 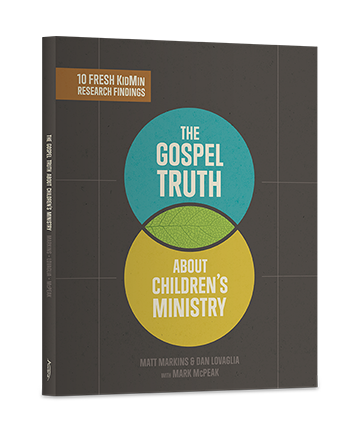 The Gospel Truth About Children’s Ministry - I'm Giving Two Away! I was recently invited to review The Gospel Truth About Children’s Ministry, which is based on research conducted by AWANA in 2013 & 2014 to “take the pulse” of the children’s ministry community. They wanted to, "fully understand the wants, needs, and expectations of children’s ministry decision makers." Since I care very much about Children's Ministry, I thought the book sounded interesting and like something all of you who read About the Children's Department would like to hear about. Plus, AWANA not only sent me a pdf of the book in exchange for my review, but they said they would send me a signed, hard-cover copy to keep and two additional copies to give away! Before I get to my review, I do want to say, whether or not you use AWANA clubs, the information in this book is important for everyone in Children's Ministry, everyone who cares about the Children's Ministry of their church, every parent and grandparent to see and understand. If you would like to read the first few chapters of The Gospel Truth About Children's Ministry, you may do so at this link. I'm very happy to say, not only did AWANA provide The Gospel Truth About Children’s Ministry for me to review in exchange for my own review, but they are also providing two additional copies for me to give away (USA only). If you are over 18 years old and you'd like to be in the drawing for The Gospel Truth About Children’s Ministry, which will be on June 22, 2015, please comment below to let me know why you became involved in Children's Ministry - I did because I know children matter, children can respond to God's grace and children can choose to know, love and walk with Jesus. In addition if you have followed on Google Friend Connect, followed by liking on facebook with the tab in the "Find us on Facebook" box ON THE BLOG or at this link (not just liking the post) and/or have followed About the Children's Department by email you will receive one entry for each of these which you have done. Plus, if you "share" this post, you'll receive another entry (please let me know if you share). This will help me be able to draw names from among people who would like to win The Gospel Truth About Children’s Ministry and it gives you several ways to enter the give-away! Thank you for reading About the Children's Department and for sharing it with the people you know! I was looking for a job in my new community and found that my church was looking for a coordinator for their children's ministry. I had worked as a music teacher, but I find this even more rewarding.